Here's a product review of the concealers I've tried..
MAC select cover up $15 - my HG concealer! I have this in NC20. Instantly brightens my undereyes, this also serves as my eyeshadow primer. Its so lightweight & doesn't crease throughout the day. Available in MAC Counters for around Php 800. From MAC's site: " Liquid camouflage for the skin. Texture-free, virtually invisible. Comes in a tube. Blends in. Brightens and lightens dark areas, erases spots, evens-out skin tones. Makes skin flaw-free. Use pre-foundation, or on its own. Don't reveal it, conceal it!" Available in VOV counters for around Php 500. 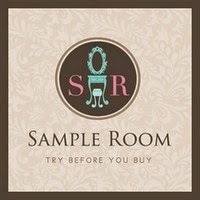 Click here for my full product review. 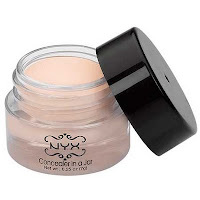 NYX concealer in a jar $5 - Got this from swap. I just love how quickly this blends on my skin. Im shocked coz the pot is kinda small, but a little goes a long way. Have this in Light shade. Not available in the Philippines. From N.Y.X. 's site : "Provides natural & lasting coverage of discolorations & imperfections without looking caked-on or clumpy. Super concentrated so just a little will do the job." 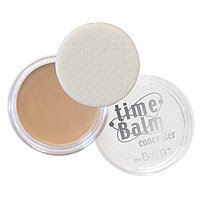 The Balm Timebalm Concealer $18 - The consistency is great, but after a few hours of applying its really cakey.. to think I set it with loose powder! Available in Beauty Bar for around Php 900. From TheBalm's site: "Use this uniquely smooth anti-wrinkle concealer all day to cover dark circles and protect your delicate eye area from enviromental stress. Apply it to a clean face before you go to bed to fight wrinkles while you sleep and wake up looking fab. Timebalm is packed with beneficial ingredients including Vitamins A, C, and E, soy bean oil, panthenol, linoleic acid, and phospholipids to help you look absolutely stunning around the clock." 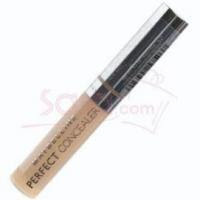 Maybelline Perfect concealer in light $7- Texture is smooth but I didn't like the coverage, it's not enough to cover my undereye circles.. Limited shades too, only 2 are available here in the Philippines. Available in Maybelline Counters for around Php 400. 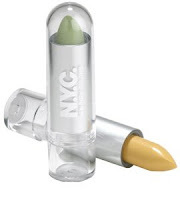 New York Color Cover stick $2 - First I bought the Light shade, it looks too "light" on me. Next, I bought the Medium shade, didn't match my skintone 'coz it has a pink undertone.. I gave up! From N.Y.C. 's site: "Evens out skin tones for a flawless look. The soft formula will not pull or tug around your gentle eye area. 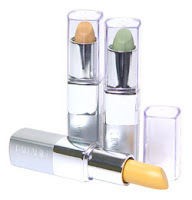 Use yellow Corrective Cover Sticks to conceal dark under-eye circles and freckles. Green cover sticks hide blemishes and red blotches. Blend well under foundation. Create a fresh, natural look that lasts all day. " Palladio Herbal treatment concealer $7 - had this in yellow coz the SA said its for dark undereye circles. Its really obvious on my skintone. I want to try other shades though.. Available in Beauty Bar for around Php 400. From Palladio's site: "The Herbal Concealer is a fusion of proven scientific skin treatments like Alpha-Hydroxy Fruit Acids that help eliminate fine lines. Enriched with 5 beneficial Herbs: Ginseng, Green Tea, Gingko Biloba, Chamomile and Aloe Vera. Cucumber to reduce puffiness and build up of toxins that causes dark circles. Edit : More Concealer Reviews here. i have the palladio. it's okay. i find that it's not that long lasting though. but i'm really oily so it might work for you. haven't tried mac concealers either. all the more reason to drop by beauty bar! Hi. Can you make a review about Ellana Mineral Powder Concealer? Thanks.